Rawak is engineered to simplify assembly process resulting in an ideal system for ease of assembly by any third party electrical contractors. Rawak is fully complying with the stringent requirement in Oil & Gas and Mining Industries. It is also suitable for applications in General Industries, Utilities, Shipyards, Plantation, Commercial and Domestic Buildings, etc. The versatility lies with the enclosure design. The enclosures are carefully designed and configured for the purpose of applications as Electrical Distribution Board, Switchboard, Control Panel, Interposing Panel and Instrument Cabinet. Double doors with front and rear accessibility is also possible. Rawak LV System is suitable for indoor and outdoor applications. 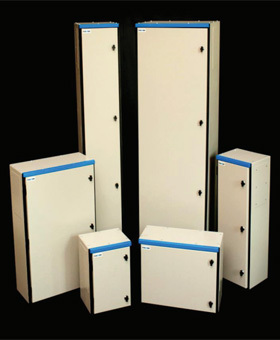 The enclosures meet Ingress Protection of IP 41 for indoor applications and IP 55 for outdoor applications. Rawak LV System was designed to allow onsite extension instead of complete replacement. This feature allows very short shutdown time whenever additional cubicle(s) are required without removing the existing system. 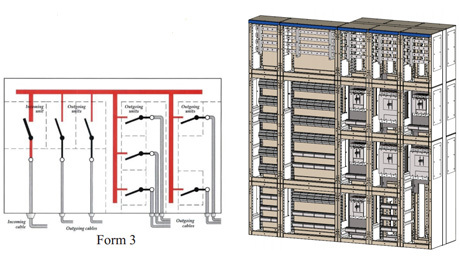 Top Busbar System with Form 3 internal separation. All Functional units are separated from one another and separated from their terminals. Form 4 internal separation. All Functional unit are separated from one another and separated from its terminals. 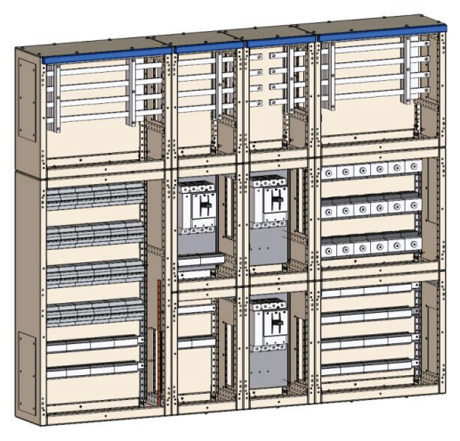 Combination of Top and Bottom Busbar system allow both top and bottom cable entries. 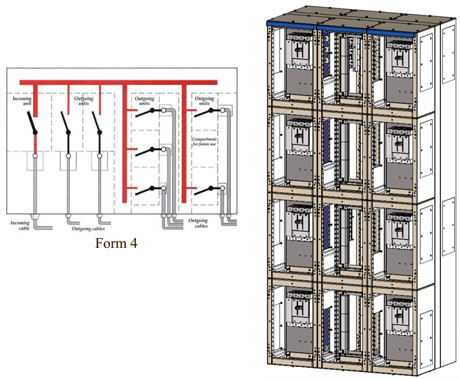 For Form 3B internal separation , all functional units are separated from one another. 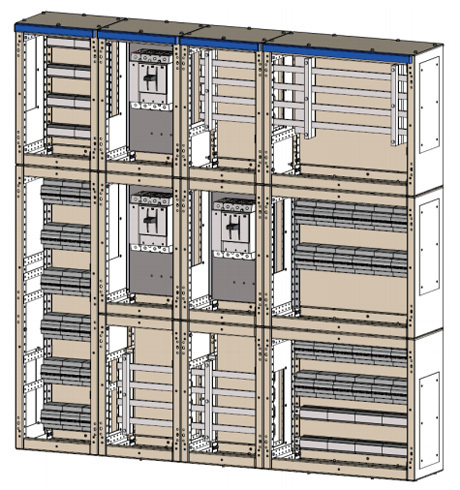 Bottom busbar system, Fuse and fuseless functional units, multiple or single cubicle configurations are made possible. Internal Form of Separation depending on requirement.